Woo Hoo! 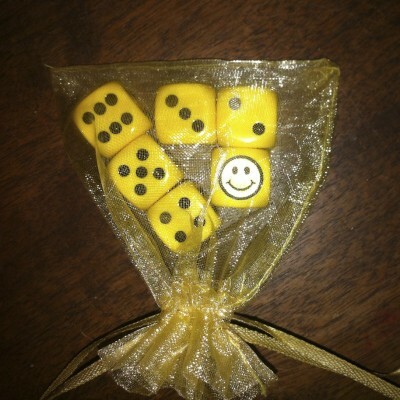 I found dice where the #1 is a Smiley Face! Smiley Face is always #1 with me!! Perfect for Dice Day, December 4.